When it comes to heating repair Los Angeles services, you cannot go wrong with our company. We understand that dealing with heating problems is bad news and so we help as quickly as we can. Contact our company whether you have troubles with the furnace or boiler. Count on us when there is a need to fix the heat pumps or the air conditioner. When you stop feeling comfortable at home, we change the situation for the better on short notice. Just get in touch with our appliance repair Los Angeles company and let us address the problems with your heating system. Facing problems with the heating system is stressful. But don’t you worry. Just get in touch with Magic Appliance Repair Los Angeles and let the issue in the hands of the most competent local pros. Let us assure you that we appoint experienced and well-trained technicians to all jobs. They have years of expertise and the skills to fix heating systems of all kinds and any brand. The important thing is that you can trust them in your home and depend on their fast response and expertly done work. Since the LA appliance pros come out well-equipped for the heating repair service, they are able to detect the exact problems with the system and replace the broken parts. So, stop worrying about the problem and just give us a call to have it fixed in a quick manner. We are flexible scheduling your service on the day and time it suits your needs but are also available for emergency LA heating repair. 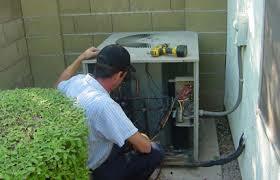 We are here for you whenever there is need for heating service in Los Angeles, California. Whether the furnace only blows cold air, the heat pump is malfunctioning, or the boiler is not working at all, get in touch with us. A trained repairman will be there for you in no time. Thanks to their expert knowledge and commitment to doing each job with accuracy, the pros will not only respond quickly but will tackle the problem in the most effective way. If your equipment is broken and not worth fixing, the pro will give you the estimate for its replacement. Have peace of mind with us around. You can also contact us if you like to prevent the problems which come with normal wear and tear and thus schedule the maintenance of your heating system. Rely on us for any service and all systems. Call us now for heating repair in Los Angeles.